Although much research has been done to lip color and new lipsticks are being introduced in different colors on the market every day, no product or color has been able to meet the versatility of a water lip stain. An excellent way to add some all-natural looking glamour, perkiness to your look, and long-lasting kissable lips is with Clarins Singapore's water lip stain. While lipsticks are mainly made from waxes, oil, and pigments, a lip stain is usually made of mostly water, gel or natural plant oils with pigment. Lip stains remain on the lips for almost 18 hours and are long lasting, smudge proof, transfer proof, and more natural looking in comparison with lipsticks. The versatility of a lip stain is enormous. It’s proven that it’s less viscous than lipstick, and it comes in several forms. The Clarins Lip Stain comes with an easy to apply applicator brush and sets quickly on the lips on application. Although it’s true that lip stains are usually fewer in color choices as compared to lipstick, it’s still very possible to achieve long-lasting kissable lips is with Clarins Singapore's water lip stain. The tones that lip stains are made in are meant to enhance the natural shade of the lips and can be used individually for a brighter, fresher and more natural look, or can be combined with a lipstick or a lip oil for an additional zing. Because of their easily blending nature, lip stains are ideal to combine with a lipstick wearing a unique shade for your day out. Even after your lipstick wears off, the lip stain provides a layer of natural looking color for your lips. Combined with a lip balm, it provides natural-looking pigmentation and nourishment for the lips. Furthermore, not only are lip stains usually cheaper than lipsticks, but they are also more economical because you'll have to buy much larger amounts of lipstick because of the rate of reapplication. One can get long lasting kissable lips with Clarins Singapore's water lip stain. Clarins Lip Stains come in four colors, namely the Red Rose, Orange Water, Red Water, and Violet Water. 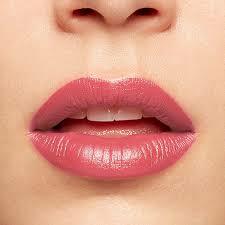 Depending on the intensity sought, the lip tint can be reapplied multiple times. It sets fast and lasts almost through the day. Further, unlike gel-based lip stains, water lip stains prevent color transferring and condition the lips to combat the ‘dry lip' problem that people commonly see with lip stains. This product can also be combined with various other lipsticks and can be used if you're looking for a somber look for your lips. This versatile product which was also the winner of the 2018 Allure Best of Beauty Award is a fascinating choice for people who want a break from the tediousness of reapplying their lipstick every few hours or for who want a more natural, barely their look. With this product, there is no doubt that your lips will be happy and have fun smiling!